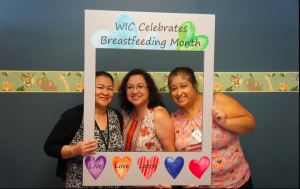 The PHFE WIC program is committed to promoting breastfeeding and support our participants’ breastfeeding goals. This August 2018, PHFE WIC joins the World Breastfeeding Week campaign to inform people about how breastfeeding affects nutrition, food security and poverty reduction. 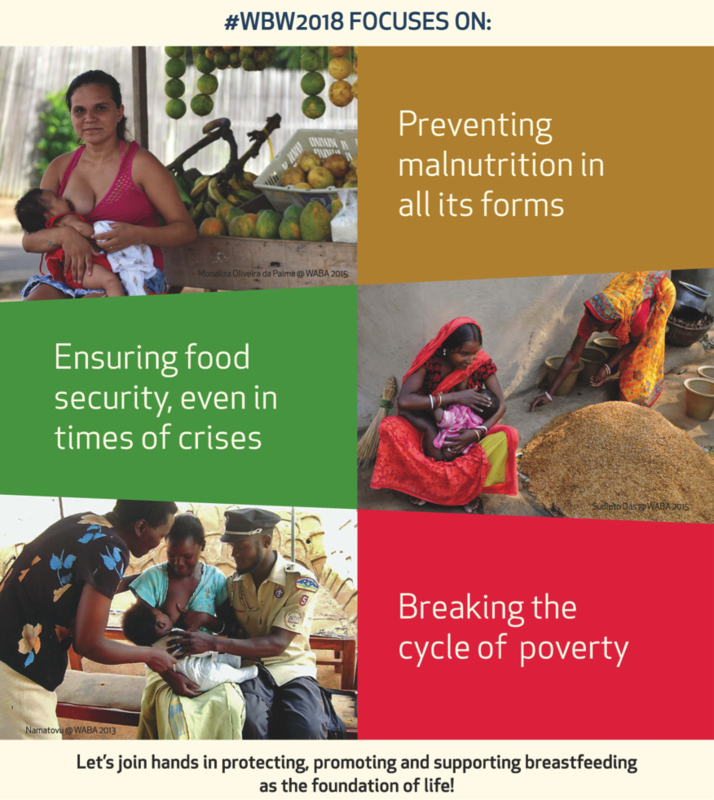 Breastfeeding is the foundation of lifelong good health for babies and mothers. Here are some of the activities you can look forward to at PHFE WIC offices all August long. Activities may vary by location. 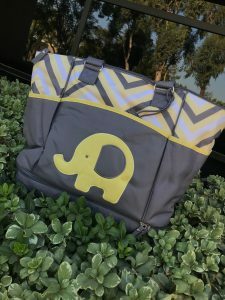 Diaper bag raffle! All exclusively breastfeeding participants are welcome to enter a raffle for a diaper bag filled with onesies, bibs, books, and more! Certificates for breastfeeding moms with your baby’s foot or hand print. 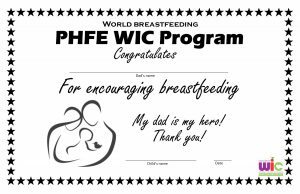 Certificates for dads of breastfeeding babies and for families with breastfeeding toddlers. Fun photo opportunities for breastfeeding families. Post your photo to social media using the hashtag #WBW2018! 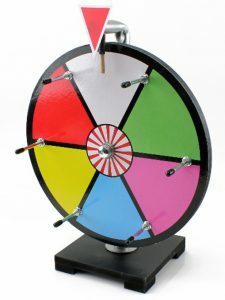 “Spin the wheel” game. All children are welcome to spin the wheel and win a small prize!